Regardless of whether you’re a racing fan or not, chances are you’ve seen the below video as it made its social media rounds last year. As a junkie for organizational agility and speed, I never get tired of watching it. And if you haven’t seen it, by all means take a look, as it speaks volumes about today’s topic. Those of us who spend time in and around Customer Service organizations see our fair share of big investments—new IT deployments, reengineering of back-office processes, upgrading our contact centers … the list goes on. With the introduction of each new Customer Experience (Cx) program, the size of the investment portfolio grows even further through projects like enterprise-wide journey mapping, training initiatives, new service channels, and improvements to research and data analytics platforms. Big projects are a reality for CCO’s and their leadership teams, and justifiably so. Maintaining customer support infrastructure is undoubtedly key to our long-term success. But are we putting too much emphasis on our customer infrastructure at the expense of the smaller and more actionable practices that could generate more immediate results? When asked to describe their Customer Experience initiatives, many CCO’s point to the “small stuff” as being key to the results they’ve achieved. In a world where everyone talks about “Big”—big data, big projects, big commitments—it’s these small, seemingly insignificant, practices, with not-so-small impacts, that are becoming the poster children of their efforts. I’m talking about practices that don’t require an “act of congress” to implement—the ones that are just good common sense and take next to nothing to implement, except a little foresight and follow-through. Simple and easy, yet, still, an overwhelming number of organizations focus on the big solution being implemented and, in doing so, miss the opportunities to make a difference today. Consider call/contact centers for a moment, where “big stuff” always takes center stage. How often do we hear “When our new CIS is in place,” “As soon as we implement speech analytics,” “Once we get that new IVR,” etc. But the reality is that most of what we need to make incremental—and sometimes big—changes is already there for those with the creative energy to act on it. During the week, she would mine a few recorded calls for good examples of customer interactions that were “less than optimally handled.” This could mean the rep simply misunderstood the customer’s issue and employed an ineffective solution, or that a good solution was just poorly delivered and/or executed. 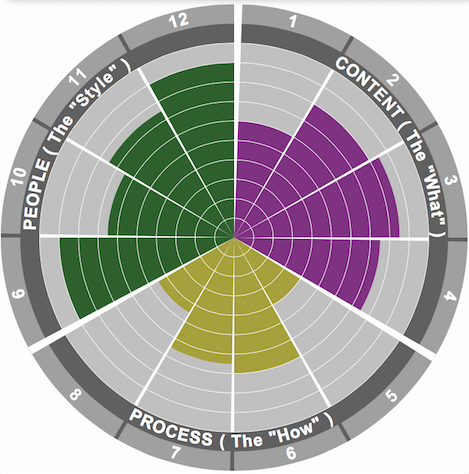 Many organizations use some variation of this in their centers. Nearly everyone has a QA/monitoring process in place (although many place their focus on procedural and policy compliance rather than emerging Cx values and standards). Most have decent follow-up mechanisms for supervisor coaching when problems occur. And (most of the time) when broad themes emerge, they work them into their ongoing training. But all of this takes time. And, increasingly, such efforts rely on technology and infrastructure to mine interactions, which often means more time and complexity. Sarah’s approach was focused on “time to market.” It didn’t discount the value of the existing process or the opportunities new technology can offer. Rather, it simply looked for ways to act more quickly. Perhaps, more importantly, she used her weekly forums as a way to teach staff how their Cx standards really were being applied, by immersing them directly, and by letting the team explore those standards in real time. The focus wasn’t on developing new policies or approving new scripts. It was about learning and applying good Cx. How long does it take employees in your organization to act on a solution once it’s identified? Do you encourage bad practices to be changed on the spot, sometimes on the basis of good instinct or common sense, or do all changes have to go through your business improvement processes and protocols? Once a new approach is identified, how quickly is it shared and institutionalized? Do your managers and staff feel empowered to take risks and deploy changes quickly? Are small “experiments” allowed, knowing that most can be “unwound” if they prove to be less effective than anticipated? Examples like this abound throughout our customer service organizations—process fixes,touchpoint improvements, intelligence gathering techniques, and many more. And there is no doubt that the projects and initiatives we have in place to deal with these challenges will lead us to a more consistent and sustainable application of our Cx strategy. But without an equally ambitious focus on the smaller solutions, and a bias from the organization to support them, they simply won’t happen. Commit today to making the small stuff an equal priority within your company. Ask for it, reward it, and manage to it. The wins may seem small at first, but stack up enough of them and you’ll discover stronger momentum and a faster ROI on your Cx investment. Over the past 24 months, Customer Experience Initiatives (Cx programs, as they have come to be called) have climbed to the top of the radar screens of most leadership teams. Organizations are abuzz with projects to identify “touchpoints,” map “customer journeys,” and strengthen their customer-facing business processes. Alongside these initiatives are even larger investments in acquiring the data and analytics required to feed and sustain these service improvement strategies. Like many other large corporate initiatives that compete for resources and executive mind-space, the Cx mantra was a big one, and came with a bold promise. It would change the way we think about customers. 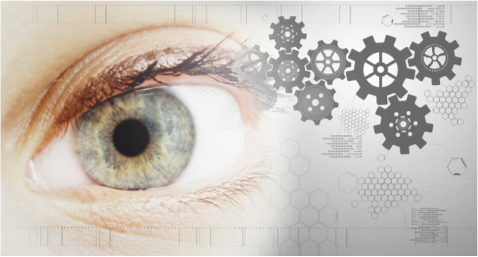 It would drive institutional awareness of what moves customer perception and behavior. And it would establish and institutionalize practices for continuous improvement across all our touchpoints and service delivery channels. In essence, it would transform our business into a customer-centric enterprise, ostensibly bringing with it increased customer satisfaction, loyalty, sales, and, ultimately, ROI. Ideally, many of these questions would have been answered (at least in part) before the initial ramp-up of their company’s Cx investments—enough so that we’d at least be seeing some regular tracking of progress metrics (beyond basic activity tracking and monthly project updates), and we’d know with some clarity which strategies were working and which ones needed course corrections to keep our ROI projections on track. But for many companies, even those with “mature” Cx initiatives in place, the answers to these questions are often shallow and lack the specificity and rigor that the size of these investments should command. And in some cases, there is no answer—just the sound of, well, … crickets. As intuitive as it may be to continue investing in Cx (after all, who wouldn’t invest in better customer service? 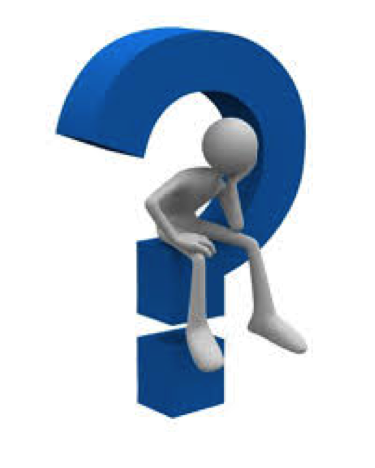 ), the absence of good answers to the above questions, and the lack of credible results and measurable successes create doubt in the future of these programs. And the risk of Cx being just another passing fad (think reengineering, six sigma, Lean, and the myriad of other buzz-word programs that were sent to an early grave) looms large. Unfortunate, given the momentum so many of us have generated through our early investments in Cx renewal. 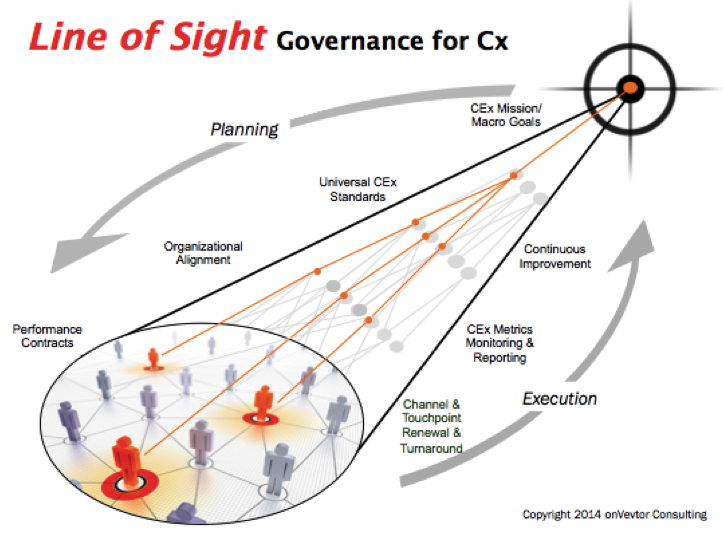 The good news is that effective Cx governance is neither costly nor necessarily complicated to put in place, particularly when compared with the size and magnitude of what companies have spent to date on their Cx program in the form of customer surveys, focus groups, touchpoint and journey mapping exercises, and “big data” analytics. But it does require that you make it a focus and priority of your Cx program, and assign to it an importance commensurate with all its other critical activities. Defining (holistically) what success looks like when your Cx program hits its stride. This often means stepping back and taking a much broader view of what success implies. The answer goes far beyond commonly used satisfaction indicators or even Net Promoter Scores. For example, good Cx programs can have enormous impact on organization efficiencies and cost savings (ironic since cost savings and satisfaction have conventionally been viewed as tradeoffs). Done right, Cx can, and often does, lead to fewer service interactions, channel transfers, and process rework. In retrospect, these benefits should have been part of any good Cx value case in the first place. But if they weren’t, declaring them soon is vital. Create measureable goals (even if they are not your final ones)- Companies often bypass this step because they feel they don’t have enough data, intelligence, or history to establish a good target, so they opt instead for goals like “improve x” or “reduce y” without assigning a quantifiable target to it. But the reality is that some of the most successful initiatives STARTED with leadership making a bold declaration of the ambition in quantifiable terms, and setting a clear stake in the ground, long before the program or initiative was fully mature. For example, Six Sigma programs do this by their very nature (the actual quality level implied by the name). Lean programs use bold, and often radical savings goals and standards to actually catalyze projects and keep them focused on the right magnitude of aspiration. An aggressive and measureable goal that is adjusted based on what you learn during execution will always yield more than a goal that is left unquantified. Map the connections and interplay between your goals and your program’s initiatives. No improvement initiative should begin without knowing which of your goals and targets it is attached to. For example, many companies have initiatives in place to reduce call wait time and track progress toward that end. Best practice companies on the other hand draw clear connections between these kinds of improvements and the higher order goals of their service improvement strategies. One of my clients, for example, spent considerable time analyzing and correlating their wait time initiative to one of their board level satisfaction metrics. By doing this, they were able to determine that a 1 second reduction in wait time translated directly to a .004% improvement in overall satisfaction. As a result, those focused on the initiative now had a clear window into what success looked like and how it would cascade up the value chain. Equally important was the clarity it provided to the organization’s leadership. Executives now had a window into how all those seemingly random initiatives translated into things they were directly accountable for and cared deeply about, and had no problem investing accordingly. Monitor and manage your “pipeline” of improvements – One of the characteristics of a mature Cx program is a healthy “pipeline” of small and well-focused initiatives delivering ongoing improvements to customer touchpoints and delivery channels. This is similar in some respects to Six Sigma and Lean programs that are set up deliberately to spawn hundreds of continuous improvement projects, each of which are closely monitored against their own specific value case, as well as their contribution to the enterprise goal. That’s what makes programs like these successful- creating wins and making them repeatable. Cx is no different. The real measure of a Cx program’s success has less to do with those large infrastructure and systems investments, and much more to do with the capacity of the organization to spawn continuous improvement and repeatable success. Developing and maintaining the processes to fuel and manage that pipeline is a critical part of Cx Governance. Closed loop reporting – Most of the work you do in the above areas will go for naught unless you establish some ongoing reporting of progress at both the program and activity levels. The number of reports, content and frequency of distribution will be unique to the needs of your program. What’s important is that reporting against your goals and standards occur on a regular basis and with a high degree of transparency. For Cx to be truly embedded within the culture of your business, the individuals and stakeholders driving these improvements at the “work-face” need to see how they impact the ultimate success measures of your Cx program. Making individual improvement successes visible and aligned with the standards and values you’ve set can go a long way toward reinforcing the kind of culture you want working in your business. Of course, good Cx governance also requires that the processes and oversight needed to execute the above requirements be in place with accountabilities clearly defined. This doesn’t have to be a huge staff function, and ideally it shouldn’t be. But it should be a declared accountability in the business, responsible for ensuring that all of the components of your line-of-sight framework are in place and being managed. That function can also provide the oversight needed for your ongoing program, and will often work through the leadership team (via steering teams, councils, or other vehicles) to reinforce and oversee progress and manage the ROI of the program. If the above recipe for Cx governance feels a bit like motherhood and apple pie, it’s probably because to a large extent it is. In many respects, it’s “Management 101” and should be applied to any major initiative or program within a commercial enterprise, and at the enterprise level itself. Unfortunately, as new project investments and priorities ebb and flow across the business, the importance of this basic management practice is often pushed aside in lieu of the firefights and priorities of the day. When we be able to demonstrate initial success? How and when will all this translate into tangible ROI for the Business? Let the answers to these questions be a catalyst for developing and guiding the development of YOUR Cx governance framework. Customer touchpoints have always been the ground zero where Cx battles are won and lost. For years, even long before the Cx “movement” made the term touchpoint a part of the corporate lexicon, Customer Service organizations have been obsessed with improving these targeted areas where our customers transact business with us. And for years, we’ve invested enormous sums of money trying to measure, analyze, and improve our customer touchpoints. Customer research, satisfaction surveys, training programs, systems investments, process improvements, and the myriad of other “projects” we take on in our annual business plans are in large measure focused on what we believe are our most important customer interactions. And today, they are the central focus of our new Cx initiatives, whether it’s the mapping of customer journeys within and across these interactions, or the creation of new products, channels and communication strategies to enhance those experiences. 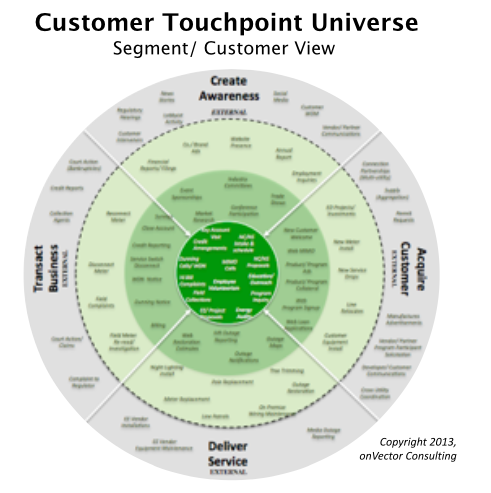 Yet ironically, with as much focus as we’ve placed on the proverbial “touchpoint” over the years, and with as much consensus as there is on how to improve them, there still exists little universal alignment across the Cx community at large on what exactly a touchpoint is. And without that, one can only hope we are spending our resources on improving the right things that will yield the right kind of outcomes. When I start working with a new organization, I always try to get a read on where their current focus is, and how they see their priorities moving forward. I start by asking some general questions about past customer service performance, existing satisfaction levels and what they see on the horizon in terms of emerging focus. And yes, I often raise the question of “touchpoints” — Which ones are working? Which ones are not? Which ones are most vulnerable? These are, of course not “pass/fail” questions. I ask them primarily to help me understand the lens they are currently looking through, which in turn helps establish a bit of a baseline. Their answers invariably span a broad range of different perspectives and interpretations on what they believe their touchpoints are and where they want to start improving. Some clients will talk about improving touchpoints in terms of delivery channels –– call centers, storefronts, etc. Others speak in terms of the transactions themselves — paying a bill, signing up for service, getting information on a service interruption. Others say its about a certain type of customer — For example, candidates for product renewal or upgrade, or what they might term their “at risk” customers. And for some, touchpoint improvement is viewed from an extremely broad/functional perspective, like improving “customer billing” or “call centers” — based on recent (albeit sometimes very “general”) customer feedback. Of course, they are all right. And, at the same time there exist flaws in each of these interpretations. We call this the “WHAT,” or the purpose of the interaction. For example, paying a bill is a transaction. Receiving a bill is also a transaction, but of a very different type with a ton of different issues at play. Getting status on an outage is an interaction. Initiating service and setting up a new account is an interaction. There are literally hundreds of transaction types that involve thousands if not millions of customer interactions every day. But while a transaction does represent the “what” of the interaction, it often ignores “where” the transaction is occurring as well as the customer “setting” within which it is taking place. Without those, real customer centric improvement is difficult if not impossible. Channels represent “WHERE” transactions occur. These can be inside the company or outside. They can be automated or manual. They can be company triggered or customer triggered. In essence, they represent the “medium” through which the transaction occurs. Call centers, websites, mobile applications, etc. are all channels. But while a channel represents “where” the customer is conducting business with you, it too is not by itself a touchpoint. Focusing your renewal efforts on channels alone can lead to useful improvements (often of the operational or efficiency variety), but they also tend to lead to more “one size” fits all solutions. 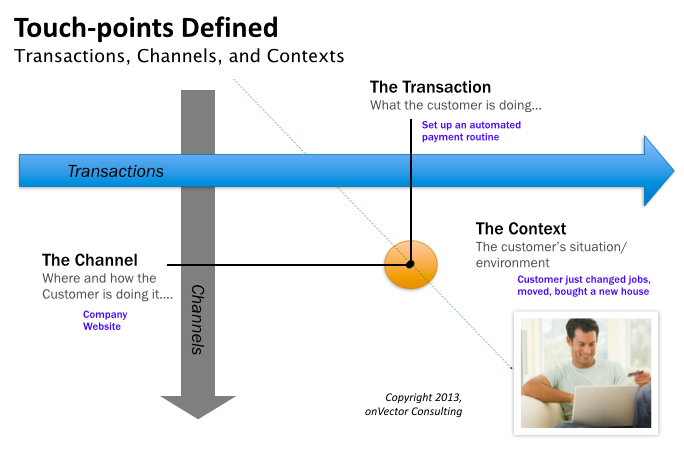 The third aspect of a touchpoint is the “CONTEXT”. For us, this is really a combination of a segment, persona and a circumstance. In our view, it’s the most important part of the touchpoint equation, as it reflects the true setting the customer is in when they begin the journey. As one of my clients likes to say, context “puts a face on the interaction”. For example, a “high income (and often “overextended”) customer calling to obtain a payment arrangement after losing their job” is an example of a context. Contexts exist at varying levels of granularity, and undoubtedly require a bit more sophistication to accurately define and portray. But the closer you can get to weaving the context into your definition of a touchpoint, the closer you will be to focusing on change that will produce a relevant, meaningful and high quality experience. Of course, this is just our take on it. Based on our own experiences and lessons learned, we’ve found this to be the lens that most quickly focuses us on the right changes and provides the fastest path to successful touchpoint renewal. However, the fact is, you can take any one of these paths in isolation and ultimately get to the point of making useful and lasting improvements. It just that this less integrated approach often requires more time and iterations to reveal solutions that are genuinely oriented around the true needs and drivers of the customer. Alternatively, defining a touchpoint as a combination of purpose (transaction), channel, AND context will produce touchpoint improvements that are, from the start, highly focused on customer centric-design. Organizations are less likely to get bogged down or sidetracked on things that are only peripheral to the customers’ line of sight. If the objective of your Cx initiative is to be truly customer-centric, and to get your organization to embody change at that level, we think you are better off starting with a more integrated view of your touchpoint landscape. Cycle times to implementation will be shorter, and you will begin amassing a string of “quick wins” which we all know is key to building momentum and transforming the thinking and culture of the organization. At its core, Cx is about all the pursuit of delivering an exceptional customer experience across every touchpoint, every time. That’s a pretty ambitious goal, and one that I’ve begun to refer to with my clients as the “Cx Holy Grail”. 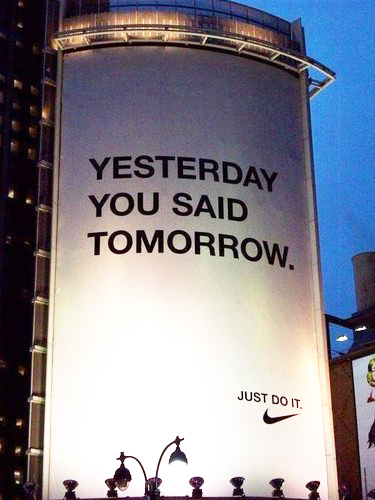 EVERY touchpoint, EVERY time? Think about it. Every time we buy a product, activate a product, use a product, get support, renew our service, suspend or terminate our contract…and the list goes on…, we must deliver an exceptional experience. Some would even say that our viewing of advertisements, interactions with social media, and even our passive conversations with others about our experiences qualify as a touch points that need to be “managed”. And they wouldn’t be far off. So where do we focus first? Which touch points? Which parts of those touch points ? What can wait? What can’t? One way to simplify the madness is to have a common set of unifying standards that every part of the organization can identify with, routinely. While statements like “Exceptional Cx: Every Touchpoint, Every Time” make for good mantras and vision statements, our Cx program will be short lived unless those statements can be translated into a clear set of observable, measurable and actionable factors. Without these, you’re literally flying blind with no way of knowing when something is broken, where improvement is needed, or how to fix it. That’s a core principle in managing any strategy, and one that is glaringly missing from most Cx programs today. Our Touchpoint Assessment Model (TAM), and the 12 attributes that comprise it, was essentially constructed to address that gap and and help our clients better focus and navigate their Cx improvements. While the model is based on a quite a bit of research, client experiences, and some pretty creative crowdsourcing; its structure and architecture is quite simple: 3 key areas of focus comprised of 12 unique and discernible attributes. The first four dimensions deal primarily with the product or content being served up in the transaction. The second four deal with the process through which the interaction occurs. And the final four relate to the style and delivery of the transaction. Each of the 12 attributes are worthy of separate discussion and exploration which I’ll cover in subsequent posts. But for now, here are the highlights. Within each of these 12 attributes are corresponding definitions, metrics and practices that paint the full picture of what is required to achieve what we would call “best practice”. It’s a model that has been constructed over 36 months of research and client experiences, along with a healthy dose of reader input and perspective. Is it perfect? Of course not. But it does provide a good set of distinctions that help break down where our issues lie and what can be done to begin turning things around in the right direction. What’s profiled in the chart above is how our clients have graded themselves in a recent survey of current Cx program focus. Do we agree with all of these assessments? Probably not. But it does show that most believe there is considerable room for improvement. And after all, that’s the point of all of this. Throughout 2014, I’ll be posting periodically on different aspects of the model as well as case studies on how our clients are using the framework within their Cx programs and governance processes to drive sustainable change. And as I have in the past, I’ll “pepper” things a bit with my own personal experiences which, as many of you know, are viewed through a pretty critical Cx lens. Taken together, I believe this input will provide our readers a with a useful perspective from which to measure and strengthen their Cx program. To all of my clients and colleagues, thanks for a great 2013. I look forward to our continued collaboration in 2014 and the learning and sharing that goes with it.